Serious student working with digital tablet while his friend listening music with headphones in library. Two hipster students studying in university library while sitting on floor against bookshelf. Attractive blonde female student embracing her beloved boyfriend in college library. Smiling young couple of college students reading a book and studying together in university library. 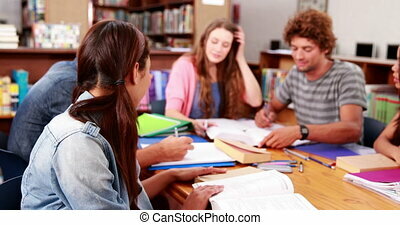 Happy smiling group of college students having fun while studying for exam together in university library. 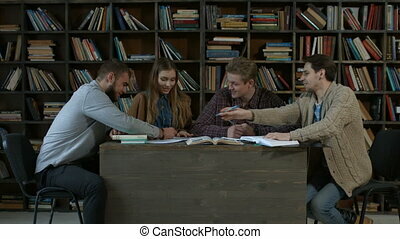 Attractive cheerful college friends learning with books in campus library. 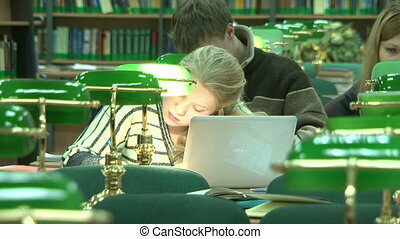 Adorable young couple of students reading a book and discussing educational material in college library. 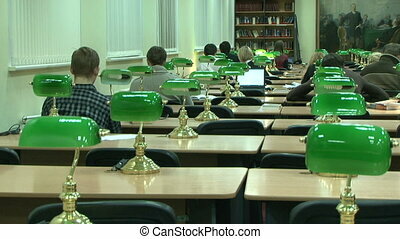 Portrait of young hipster students studying together for exam in library. Clever female student reading a book in university library while standing near bookshelves. 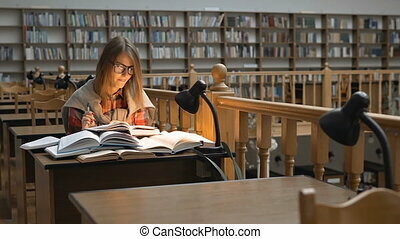 Concentrated charming young woman studying hard for exam in library over college students background. Group of positive college friends sitting on the bench and communicating after lecture. Cheerful students studying togehter with textbooks and devices while sitting on the bench in university campus. 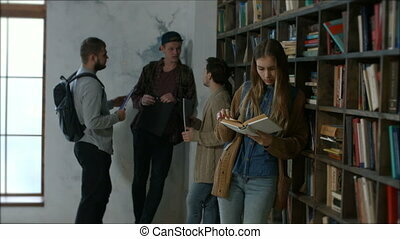 Group of diverse college friends with heap of books walking along bookshelf in campus library. Cheerful students with books studying together in university library, walking and communicating. 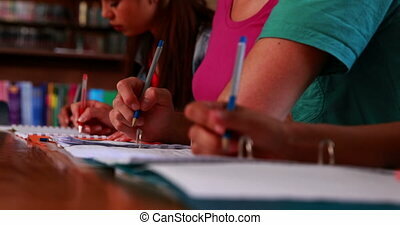 Positive group of students studying with books and writing notes on notebooks in high school library against bookshelf. Happy young university students studying with books in campus library. 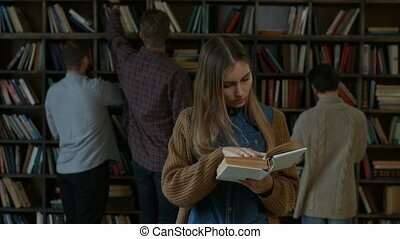 Attractive blonde female student leafing through the book while studying in library with college students choosing books from bookshelf background. Portrait of charming young woman reading a book in university library. Serious male student hoding a book and leafing through the pages while sitting on the floor near bookself in college library. Young hipster student reading a book and studying for exam in library. Two smiling male college students chatting while sitting on the floor against bookshelves in library. Positive hipster students learning together and reading books in university library. Young couple of hipster students with open book studying in university library over bookshelves. Two attractive students with backpacks reading a book in the library. Clever female student forcing her carefree boyfriend to study while couple sitting on the floor in college library against bookshelf. Hipster couple of students learning together and reading a book. Beautiful young blonde woman embracing her beloved boyfriend while man with laptop studying in college library over bookshelf background. Attractive couple surfing the net on laptop in library. Attractive long blonde hair female student with books and digital tablet studying in campus library while sitting on the floor and leaning on bookshelf. Charming college student learnig in library. 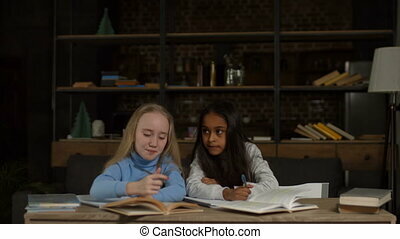 Cheerful multi ethnic school girls studying with books together at home while sitting at the desk. Lovely little girls doing homework for elementary school in domestic room. 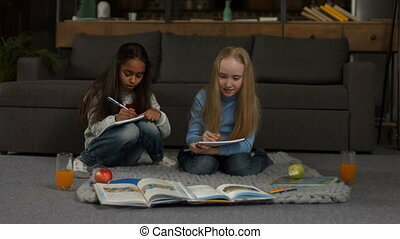 Positive diverse adorable school girls doing homework for elementary school while sitting on the floor in domestic room. Clever kids with books and texbooks studying together at home and talking. Midcsection of young college female student in casual outfit reading a book in campus library. Closeup. 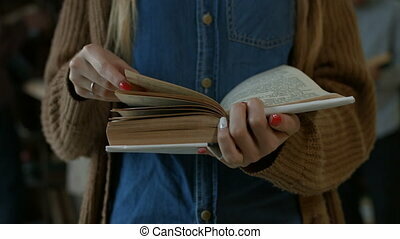 Female hands with perfect manicure leafing through the book in bookstore. Cute long blonde hair school girl doing her homework while sitting on the floor in living room. Concentrated little girl learning at home and writing task in textbook.